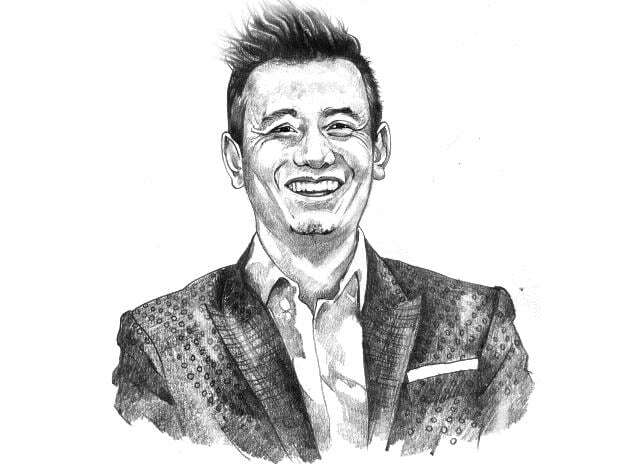 Bhaichung Bhutia, India's iconic former football captain, is set to try his political luck again, this time in his native state of Sikkim, as he plans to contest the assembly elections due this year. Bhutia said his Hamro Sikkim Party (HSP) may contest up to 18-20 seats in the assembly polls to the 32-member House. "My commitment to stay in state politics is long-term, and I am also going to contest the forthcoming Sikkim Assembly polls and take any responsibility that my party entrusts on me," the 43-year-old former striker told PTI in an interview. On the electoral prospects of an opposition alliance to take on the ruling Sikkim Democratic Front (SDF), Bhutia said serious deliberation was underway with the BJP and other like-minded parties. In February last year, he resigned from the Trinamool Congress (TMC). The SDF-led government under Chief Minister Pawan Kumar Chamling has proved to be a "disaster" in the state, he alleged. "Chamling is an elected dictator who behaves like a monarch... he is also corrupt," Bhutia claimed and asserted that continuation of the SDF supremo as chief minister will be detrimental to Sikkim's democracy, governance and economy. The HSP vice-president also accused Chamling of keeping a vice-like grip on his party colleagues. "There has never been a second person or leader in the SDF in its 25 years of existence... it is Chamling and Chamling alone." Bhutia came down heavily on the chief minister for the issue of unemployment in Sikkim, and said his government had done very little to provide jobs to the youth. "It is his inability to create jobs, which has created a lot of unhappiness, and led to an alarming rate of suicides in the state," he said, adding, suicide rate in Sikkim is the highest in the country. Bhutia said that protection and preservation of the rights of the three indigenous communities - Lepcha, Bhutia and Sikkimese Nepalese people - will feature on top of his party's priority list in the upcoming elections. Criticising Chamling's much-touted Organic Mission, he said food production has gone down by 65 per cent in Sikkim and land meant for agricultural purposes have been cut down by half during the CM's rule for over two decades. The HSP leader also alleged massive corruption in the state's power sector and claimed that Chamling had sanctioned 40 power projects despite them being non-viable. He said the chief minister has accrued "a huge debt of up to Rs 60,000 crore" on Sikkim by taking various "populist and short-sighted decisions" meant for his own political survival. "Now, the state government does not have money to pay arrears to its employees even after implementation of the 5th Pay Commission report," Bhutia said. The former captain also accused Chamling of keeping the Central Bureau of Investigation (CBI) out of the state through a memorandum, due to "his fear of being brought to book for various acts of financial transgressions". Often considered a torchbearer of Indian football, Bhutia added that he will try to create an environment to encourage the Sikkimese youth to take up the sport in a big way.